Lady Bunny Blog: DO NOT MISS UNITARD AT STONEWALL! This hysterical, clever show is at Stonewall for the next several Thursdays. It's a small space upstairs and was at capacity when I caught it during it's last run. Sketch comedy at it's best and up-to-the-minute new material. 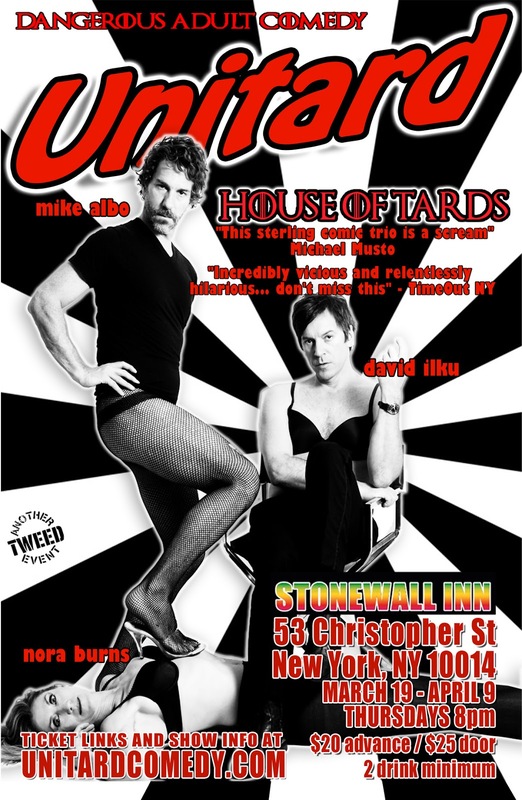 I've been a fan of Unitard for years but I've never seen David Ilku​, Nora Burns​ and Mike Albo​ better than they are in House Of Tards. DO NOT MISS! And buy a few drinks while you're at it. How rotten would it be if Stonewall, birthplace of gay rights closed due to rent hikes?